The other day I looked out of the window to see the girls taking the heads off some flowers. No, not dead-heading in a helpful kind of way, just picking the heads off flowers….naughty girls! Instead of getting mad at them I decided to put the flowers to good, or at least better use! 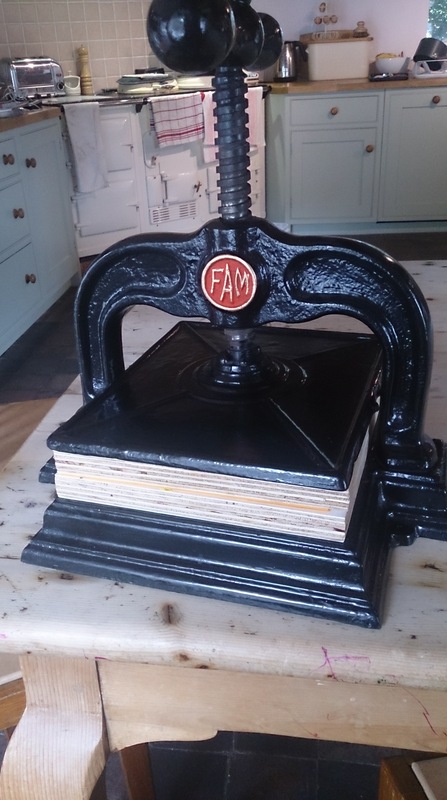 Having read a post by Kirsty of Love Paper Fish about Crafting with Children I’ve been on the look out for a flower press. I then remembered that I have an antique book binding press that would more than cope with the job of pressing a few flowers! do you like the messy kitchen in the background? styled specifically for this photo shoot! 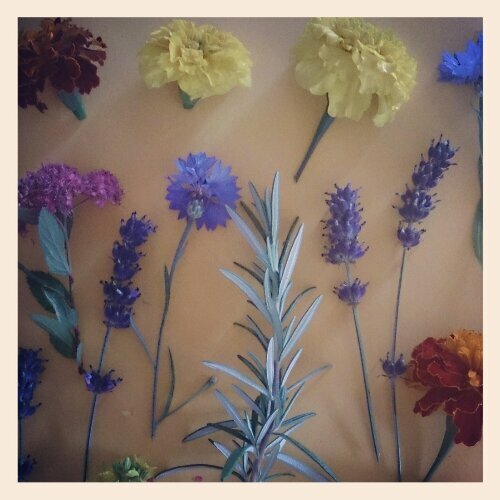 So, we laid out a selection of flowers and herbs from the garden on some card and then squished them all in the press! I’ll let you know how we get on once they’re all dried out!